I’ve been an absentee blogger for the past few months. My sincere apologies! But let me catch you up. We survived a chaotic holiday season with lots of family visits, yummy food and Christmas gift excitement. This even included a horrid week where the entire household, starting with yours truly, caught a nasty bug. Lots of puking going on at our place for several days. I’ll tell you what, being pregnant and violently puking is no bueno. I also completed my last wedding before Baby #2 gets here. It was on New Year’s Eve. It seemed appropriate to go out with a bang and we certainly did. It was a crazy long day (about 16 hours) made even more challenging by being 27 weeks pregnant. Let’s just say I had the worst wedding hangover I’ve ever had the next day. It was touch and go there for a while. Would I ever walk again? Only time would tell. In other news, Baby #2 is still cooking away and we found out that IT’S A GIRL!!! 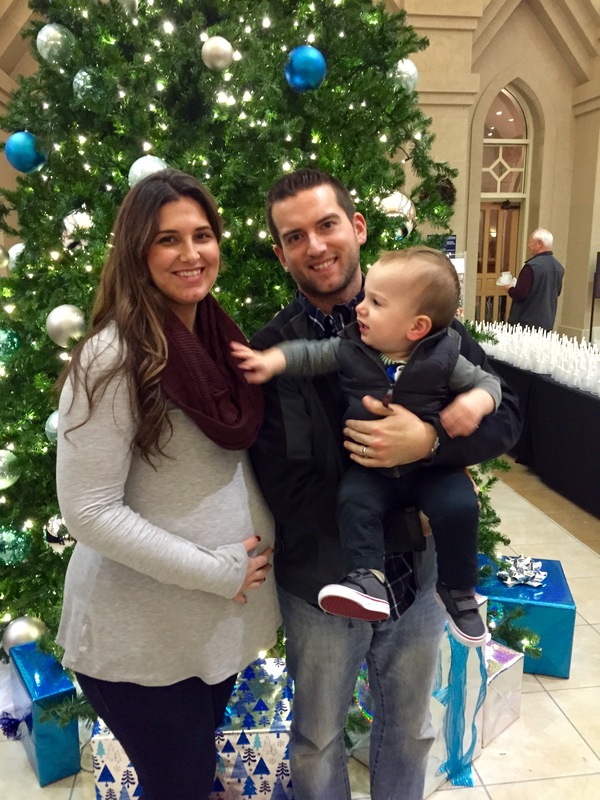 This pregnancy has been completely different from Little Man in so many ways. Ways that have ultimately left me more exhausted, physically spent and mentally drained at the end of each day. I’m just very thankful that this time around the latter part of my pregnancy falls during slow season so I can really take it easy. But, I never “take it easy”. LOL. Who has time for that? You see, with Little Man, I had zero time for “nesting” because I was in my busy season towards the end of my pregnancy and then he surprised us all by showing up 4 weeks early anyway. So, I think I’m making up for lost “nesting” this time around. I’m in full force people! The Husband and I have decided that we will remain in our current 3 bedroom, 2 bath house for at least another year before we begin shopping for a larger home. Given the fact that we are already busting at the seams as it is with our little family of 3, I’ve been on a mad mission to make sure every nook and cranny of this house is purged, organized and as efficient as possible so that not a single shelf is wasted. I’m 29 weeks pregnant and I’ve tackled about 50% of the home organization projects I’m aiming to complete before Baby Girl gets here. 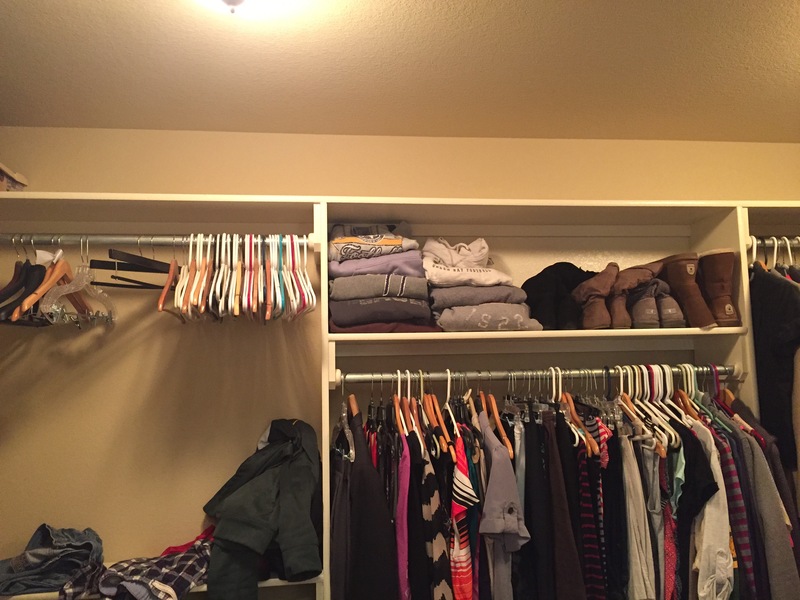 I’m really bad about taking before and after pics but I did snap these earlier this week when I spent 2 days purging and organizing our master closet. 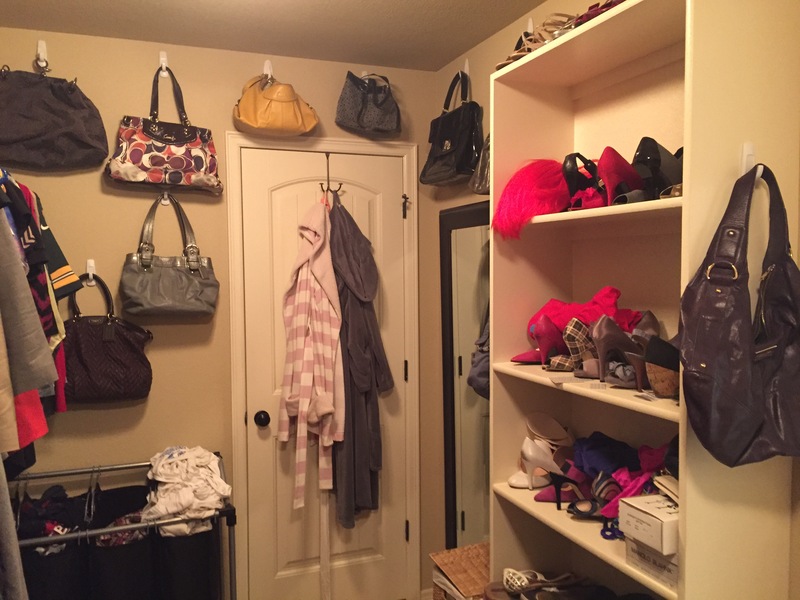 As has become practice in recent weeks, I stood and looked around at the disaster area (in this case, our master closet) and started brainstorming ideas to utilize the space better. I’m a woman and I have purses. Many of them. I did get rid of a few but, many I really wanted to keep. But, I needed to find a better way to store them so that I could free up a VERY LARGE shelf to be used for other things. So, now every inch of wall space in our closet is being used for purse storage on command strip hangars. It looks so organized and pretty. And look at that glorious shelf that is just waiting to be used. It’s odd how good this feels! There was further closet organization that happened after I snapped these pics so it looks even cleaner and better than this. But the purse storage beauty was worth showing I think. Here’s some family love for you all to enjoy. Little Man was being very “mommy clingy” this night so there was no hope in getting him to look at the camera. That’s all I’ve got for today. It’s way past this pregnant momma’s bedtime. I’ll be back soon. I promise.